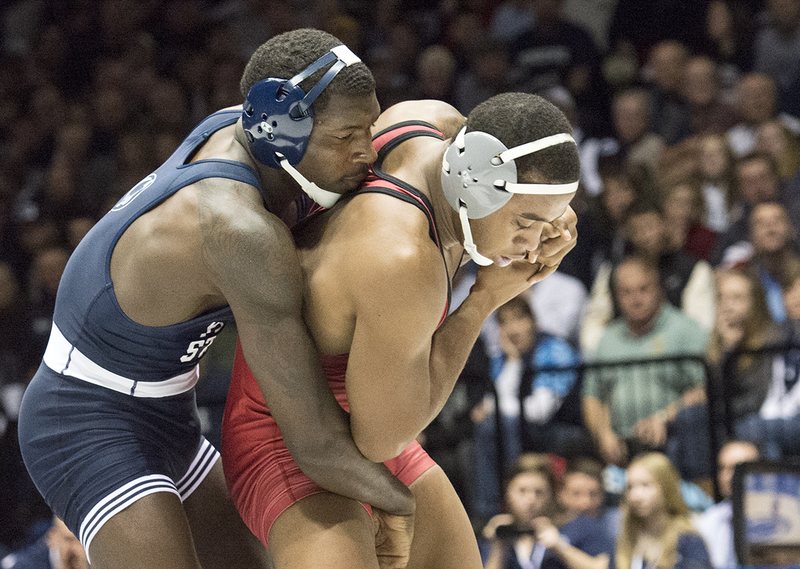 Senior Ed Ruth returned to the lineup after a one-month suspension (that’s Ruth in the photo above), but it was a redshirt freshman—Zain Retherford—who stole the show Sunday afternoon as Penn State’s wrestlers dominated Ohio State, 31-6, in Rec Hall. The Lions lost only two bouts all afternoon. 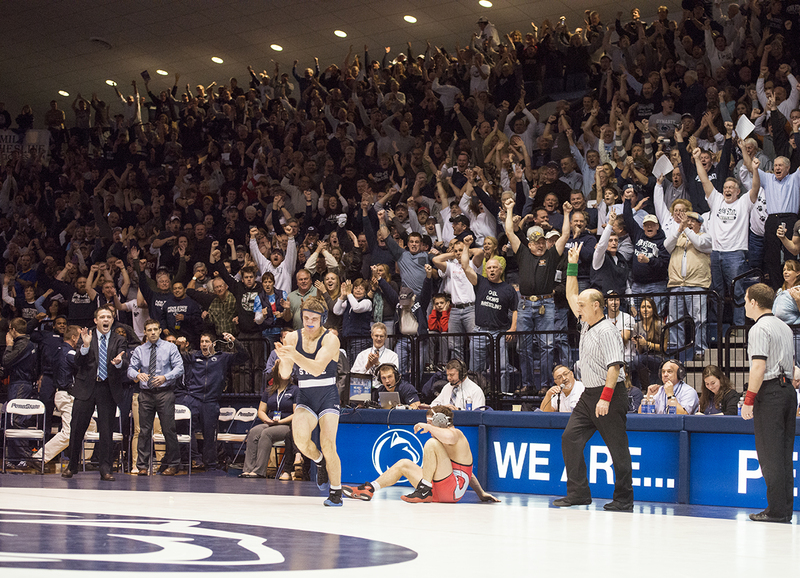 Among the bigger winners for Penn State were Nico Megaludis, who scored a technical fall in his 125-pound bout; David Taylor, who earned a technical fall at 165 pounds; and Matt Brown (174), Ed Ruth (184), and Jimmy Lawson (285), who all scored major decisions. I’ve posted an album of photos from the dual on our Facebook page. Entry filed under: Athletics. Tags: Ed Ruth, Logan Stieber, Zain Retherford.